Immaculate designer furnished 4 bedrooms, 3 baths home located across the entrance of Tiger Tail beach. 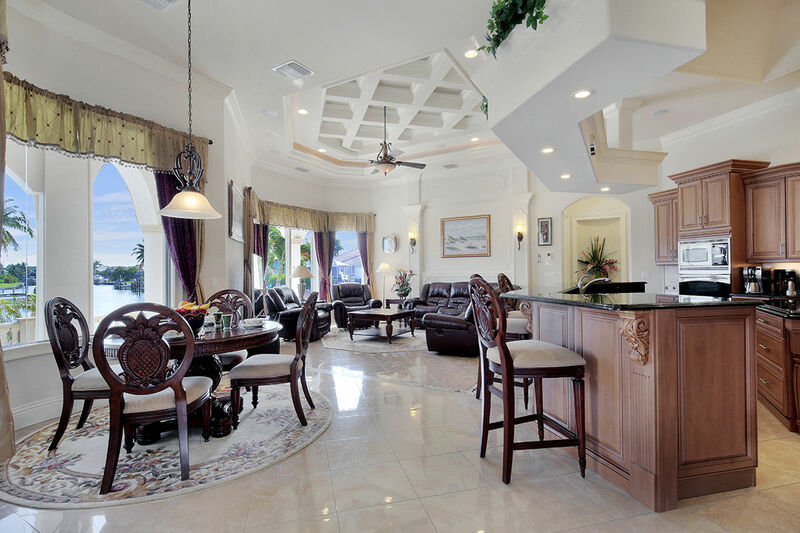 This custom home features a lovely living room with volume ceilings and marble floors that open out to a large lanai, separate formal & informal dining areas, a large family room which encompasses, volume ceilings, custom built-ins & fireplace, and a contemporary bright and open kitchen featuring granite counter tops. This home offers you everything you need for a luxurious vacation. With over 3,920 sq ft on 2 floors the house offers enough space for you and your family. You have a greeting area with fire pit and beautiful views overlooking the lanai/ pool area. 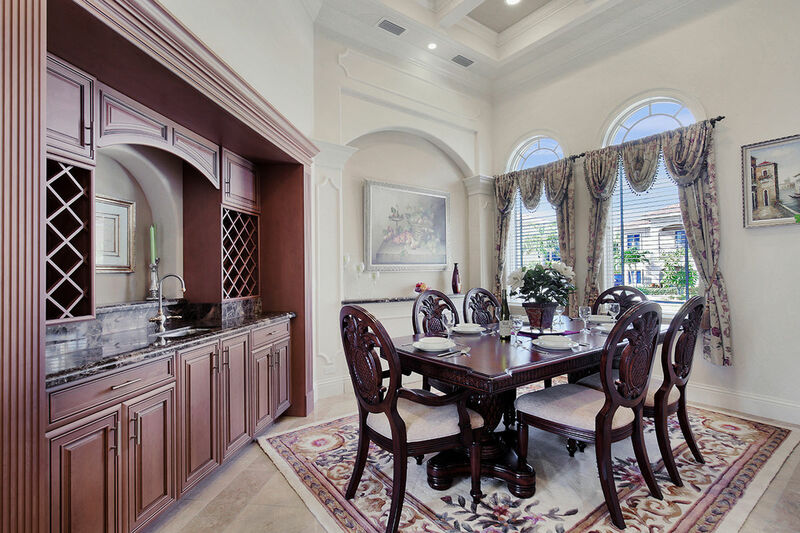 The dining area offers sitting for 6 with a big wooden custom built in wet bar. The kitchen is in the middle of the house, convenient weather you prepare lunch and dinner. The kitchen is fully equipped and has stainless steel appliances. 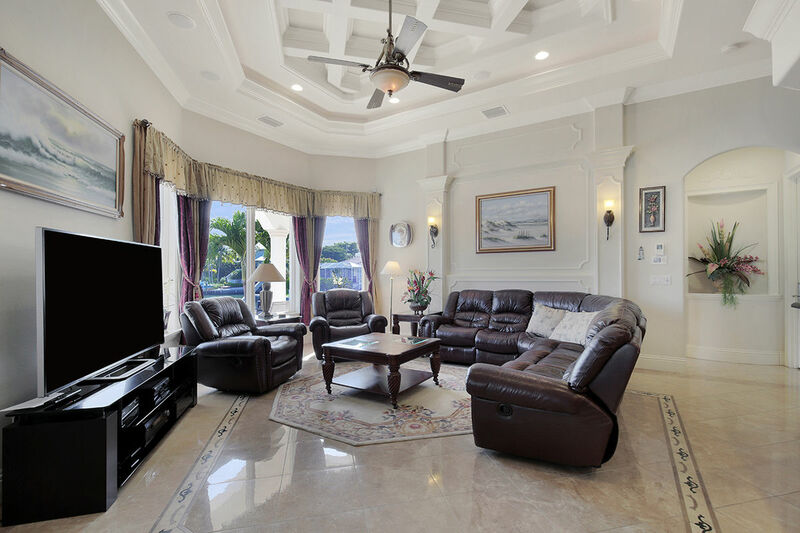 The living room has a comfortable leather coach overlooking the water and a 70 inch flat screen T.V. with a Control4 entertainment system. The perfect place to watch sports or a movie with the whole family. 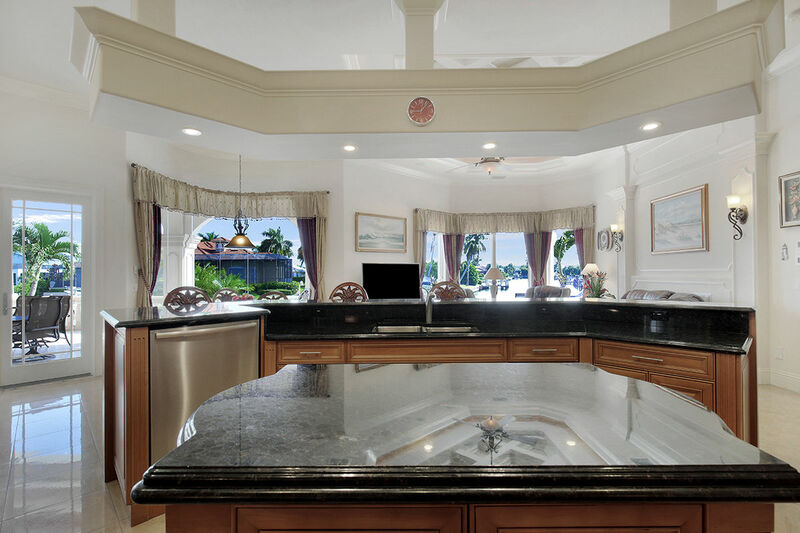 The first floor offers an oversized master bedroom with king size bed, walk-in closet, access to the lanai/pool area and beautiful water view. 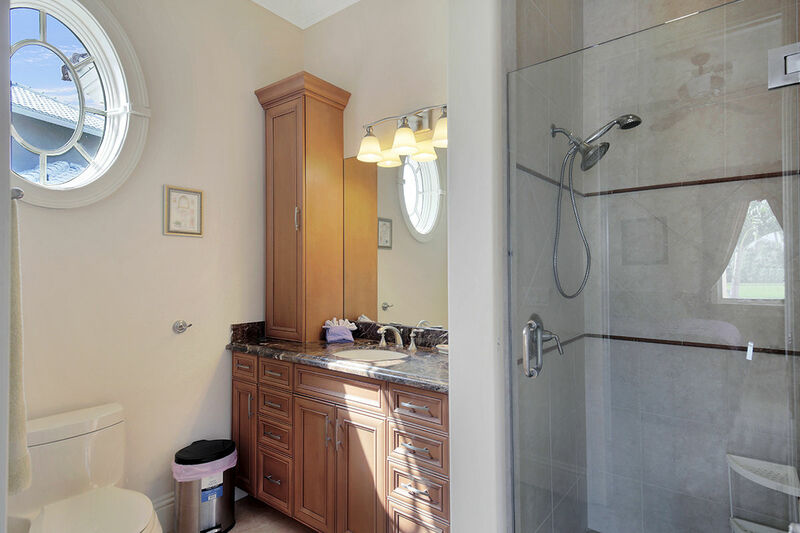 The bathroom has a shower, hot tub, his and her sink, a separate toilet and a vanity. Also located on the first floor is the second bedroom. 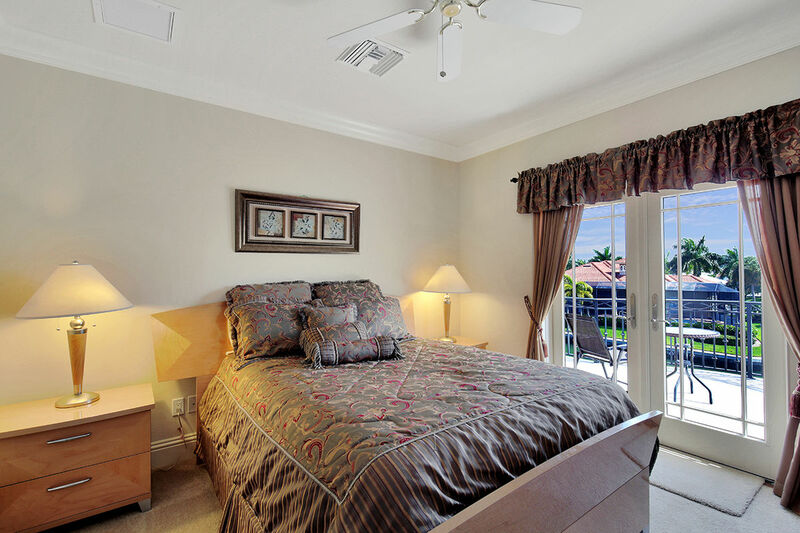 This bedroom has a queen size bed, access to the lanai/pool area and water view. It also has its own private bathroom. If you still have to work while you are in vacation you can take advantage of the office that is setup to fit 2 people with built in wooden cabinets and wooden floor. 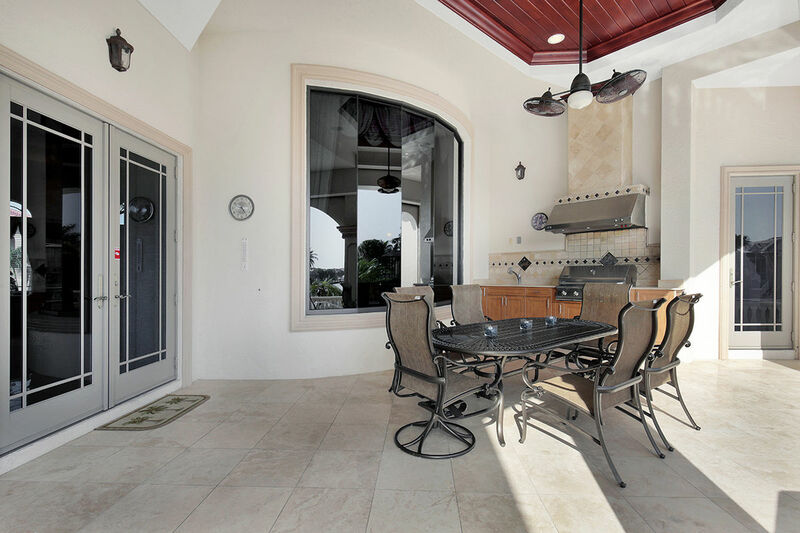 While you are working you still can see your family through the elegant French doors enjoying the pool and lanai area. On the second floor with over 650 sq. 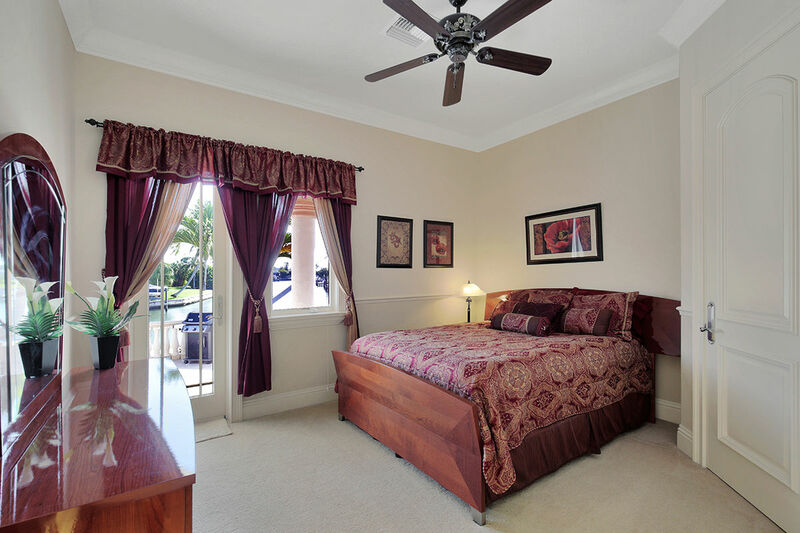 ft you will find the 3rd and the 4th bedrooms. The 3rd bedroom offers you a queen size bed with walk-in closet and a private balcony. The balcony offers you breathtaking water views and is the perfect spot to enjoy a coffee in the morning or sit back under the stars in the evening. The 4th bedroom is setup as a separate living area with couch, wet bar, big TV and a separate balcony to enjoy beautiful sunsets. Within minutes this room can be transformed to a bedroom with a queen size Murphy bed and pull out couch. Also located on the 2nd floor is a bathroom shared by both bedrooms. The specious lanai with over 1,300 sq ft features a beautiful canal side pool with spa and plenty of room for relaxing in or out of the sun. The 5 burner built in BBQ grill is a dream for every outdoor chef. The outside dining table offers sitting for 6. 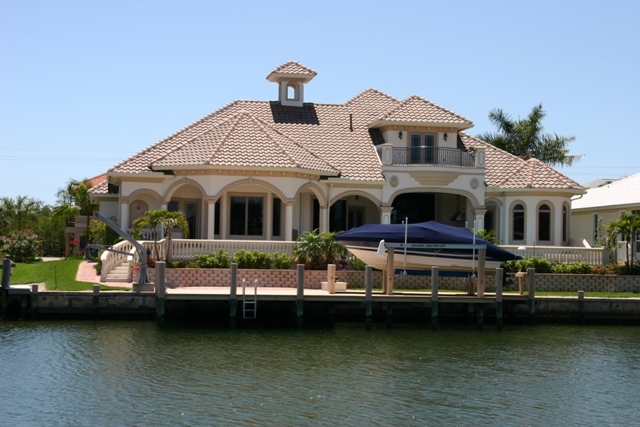 The Home also features a large boat dock and 2 car garage. Great location & neighborhood! Just steps away from the beach. 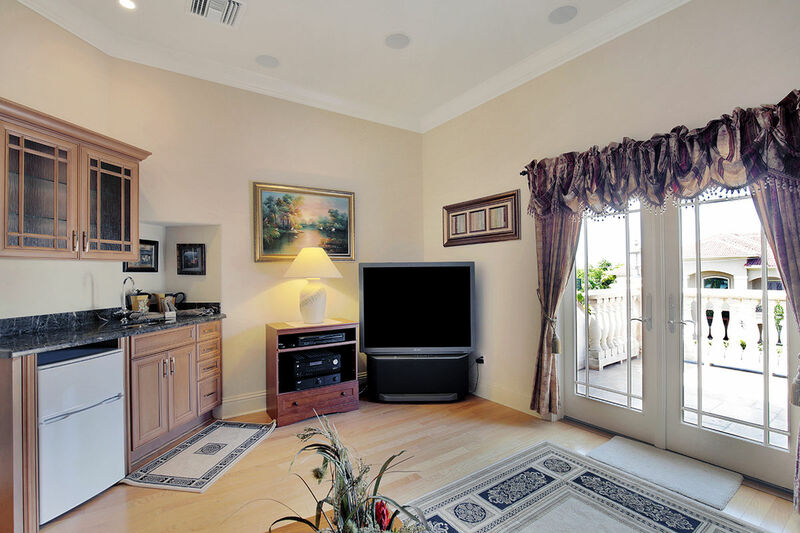 You will have the perfect opportunity to live in luxury on Marco Island with comfort and style. 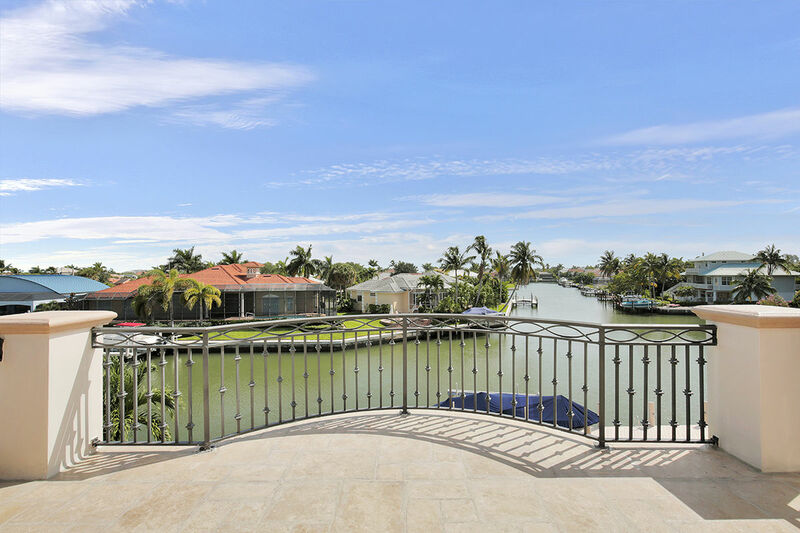 In addition to the features of this beautiful home you only have to step out of the house and you are already at the Tigertail Beach entrance. 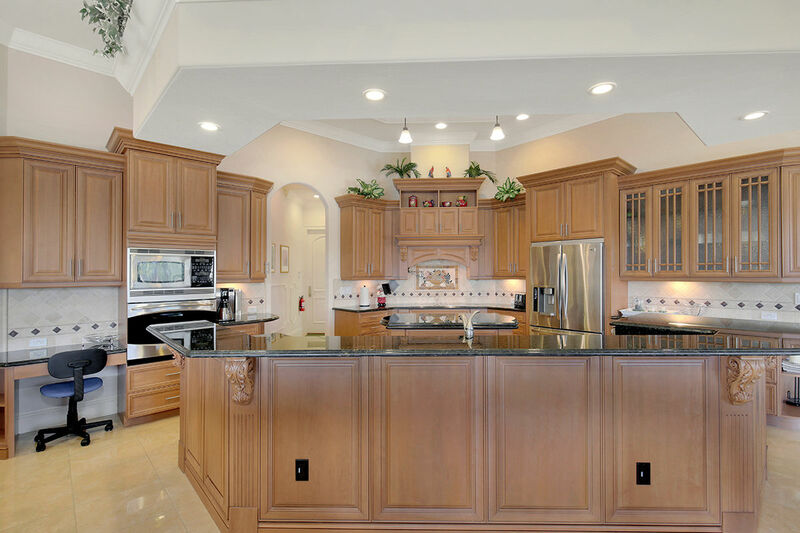 Please be sure to click on the "Virtual Tour" tab above to view a video tour through out the home. 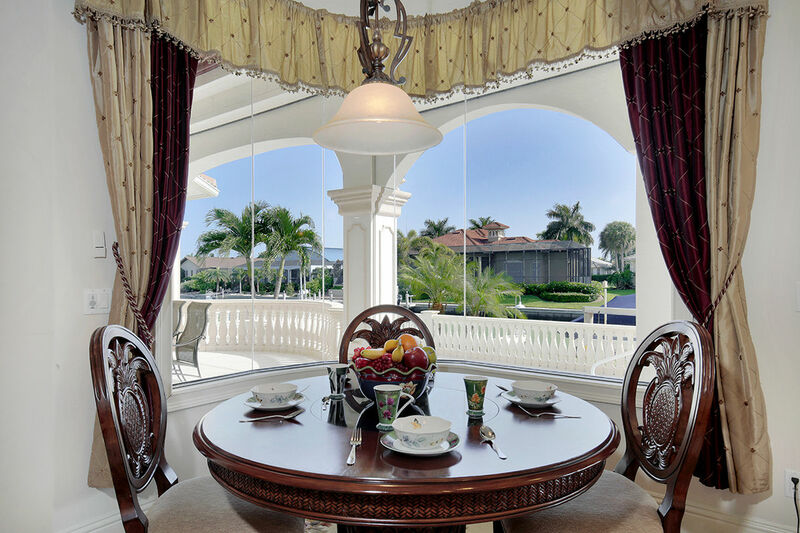 Marco Island is graced with miles of white-sand beaches, luxurious real estate, beautiful year-round weather, sumptuous restaurants, fine shopping, dining and lively entertainment and more. It attracts visitors and residents from all over the world. 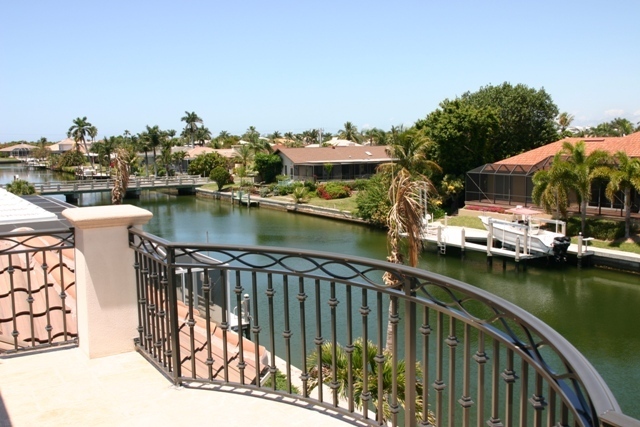 Marco Island is absolute favorite destination for boating, fishing or just soaking in the sun. Its 14 square miles offers 6 miles of white sand beach and over 100 miles of waterways. All set amid the stunning subtropical beauty that is unique to Southwest Florida's Gulf coast. the pool proved refreshing and fun through out the day. Movies on the flat screen kept everyone entertained well into the night. Susie's Diner is best for breakfast. Winn-Dixie is convenient and offers a decent selection of groceries. Beautiful Sunsets @ Tigertail Beach. Naples is close by and offers a nice change of scenery. 5th Ave has nice shops and restaurants. we hope to come back. Absolutely stunning home. We truly enjoyed staying here. Perfect for our family of four. Our teenagers loved having their own space/ bedroom/ bathroom. The Sand Bar is worth the ten minute walk around the lagoon. Jumping fish and hermit crabs. Naples, Vanderbilt Beach was definitely worth the forty minute drive & Sanibel Island a fun day trip. Loved the serenity! So relaxing! What a wonderful house.We had so much fun. Dinners for two and BBQ for four. Hiring a boat id a must and we spent the whole day discovering new islands, Spotting dolphins and swimming. As we are only two hours away we would love to come back and hope to be able to stay here. Thank you Samia! Had a great time-all was wonderful! Thank for letting us stay in your home. Thank for letting us stay in your home. Your house is absolutely beautiful! We loved everything about it. We recommend Speedy Air Boats tour, Marco Princess Dinner Cruise and Calusa Boat Tours. Hope to come back again. It was a wonderful vacation. Thanks Samia for your help. This house is spectacular! Thank you for sharing this house. It is truly a place of serenity in paradise. 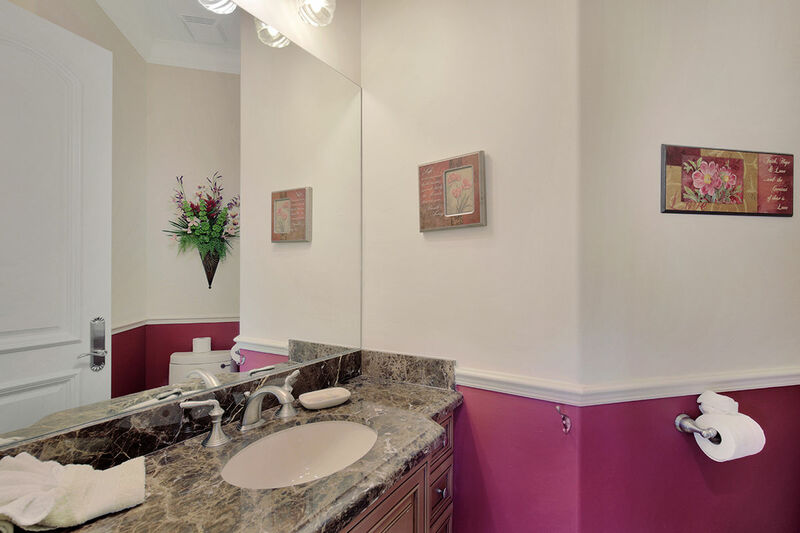 The amenities are amazing and the architectural detail of the home takes you far and away into luxury. The pool is fabulous! The house was a one stop destination. Winn Dixie is close for groceries. Tara's had great lobster. Marco Island is an oasis. The public beach is only 10 minutes away too. A fabulous getaway and can't wait to comeback soon. We really enjoyed our visit-your home is very beautiful. The architecture details are fantastic. What a beautiful home! Thank you for a wonderful week. My favorite part of the trip was the jet ski tour with Captain Ron,one of the coolest things I've ever done, and I found 25 conch shells on the beach that we went to on the trip. Do it! You'll never forget it, ever EVER! This trip was amazing! We were married on the lovely lanai and had a small intimate ceremony. Dinner at The Marco Polo restaurant is a must! Don't let the outside fool you! It was a dinner our family enjoyed. Thank you for sharing your lovely home-our family will definitely return. Six of us this time, enjoying the sun ,sea and sand. No doubt we'll be back before the year is out. Thank you too to Asela for keeping us dear and tidy. The Solty's family of four. We totally enjoyed this beautiful house. Tigertail Beach is awesome. The weather has not been so good, but staying in this gorgeous home and spending time in this beautiful pool made up for not so great weather. We definitely would like to come back soon. Thank you for sharing your beautiful house with us. Another great break- looking forward to coming back in July. What a wonderful house. Plenty of room for the family. Love the pool. Kids did too! We spent time exploring the area. Had a great tour with Eco-Quest Nature Tours. Very informative. Our second trip with them. Looking forward to returning next year. The people at Marco Naples Vacation Rentals went out of there way to make sure our vacation was great. We enjoyed our stay in your home. Our four children had so much fun in the pool. The weather was perfect! Your home is amazing! This was a great family vacation. This was a great family vacation. What a beautiful home with perfect beach access. Kids had a ball at the pool! Hope to come back again soon. Thanks so much for sharing your beautiful home. Thanks so much for sharing your beautiful home. We had a lovely vacation home here. Loved the close location to the beach. Great Restaurants- Verde's and Aturio's. We also prepared meals at home. 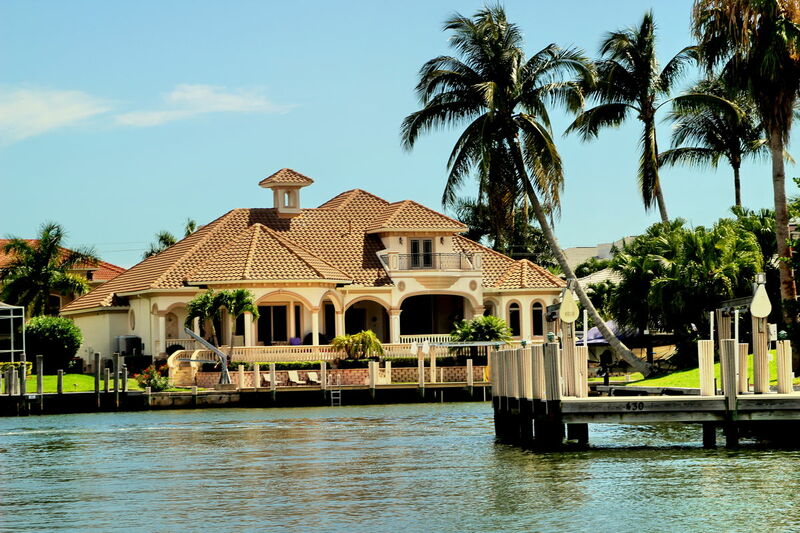 My husband and I were planning our destination wedding when we came across this magnificent home in Marco Island. The outdoor lanai was the perfect location for our intimate ceremony and wedding photos throughout both inside and outside turned out amazing. The home was spacious for our large family and very elegant. The pool was a huge plus and utilized by all from early morning as well as late evenings. Thank you to Samia at the property management company for being so easy to work with as well as offering to assist with wedding necessities as needed since we were finalizing our details from Pittsburgh. Our wedding/honeymoon was very memorable in this lovely home as well as Marco Island which is truly a hidden treasure in Florida. We had a great time in your beautiful home. My granddaughter started to learn how to swim and was very successful! Thank you for suggesting Eco-Quest Nature Tours for a kayaking trip. They were very knowledgeable. Our whole family learned a lot. Your home felt like we had lived there a long time. It was great to spend time with my daughter and son in law. Me and my family had a great time. The beach was very close. We could walk to the beach. We all wish we could come back to this house. First time on Marco and plan on coming back. Loved the house, it was everything advertised and more. The food at Snook Inn was great and Captain O'Brien's Comedy Club was a blast. Thank you so much for sharing your wonderful home with us. We were here for a month and it truly felt like home. This was are first time to Marco Island and we had a great time. Some of the highlight were a sunset cruise on Cool Beans cruises. Walking to the end of Tigertail Beach in the morning at low tide to watch the dolphins playing was great. I loved this house! Thank you dear owners for allowing us to stay in your home. Had a great time shelling on Tigertail Beach after wading through the lagoon. The girls will always remember that.. Found lots of shells including sand dollars- They were so happy to find them. The pool in the house is awesome. Had a fabulous time at your house. One of the best we have stayed on Marco spanning 15 years. Would very much like to stay in the future. Thank you for opening up your beautiful home to us. Thank you for opening up your beautiful home. We love all the detail you put into everything. We are boaters and enjoyed the use of the dock and tooling around the water ways. The weather was perfect in the 80's everyday! Thank you for opening up your beautiful home to us! Thank you for opening up your beautiful home to us! We never wanted to leave! Beautiful weather in the mid 70's all week. Had a great lunch at sunset grill & dinner at Joe's Pizza. It was great having Tigertail Beach so close to us. Thanks so much. Thank you for use of your home. Thank you for use of your home. It's beautiful and we loved all the detail. The location is perfect and we so enjoyed the quiet! We had plenty of room for our family & enjoyed the pool. Thank you again & hope to come back sometime soon. Thank you so much for opening your beautiful home to us.The only thing we did not like was packing our bags to leave. In particular, we enjoyed the beautiful beach, swimming in the pool, and especially seeing the dolphins in the canal. We loved how the master suite is secluded and large. The kids loved their bedrooms with the beautiful balcony view. The kitchen is my dream kitchen! I enjoyed cooking in it very much. When we weren't using the kitchen, the best places to eat were Nene's for breakfast, Cocomo's for dinner, and especially the ice cream place next door to Cocomo's called Chocolate Strawberry- the best gelato ice cream we ever had. Thanks again, We will be back. Lovely home and pool that provided the perfect setting for our family Thanksgiving vacation. We would recommend the Red Rooster and/or Susies for breakfast and lunch and Cocomo's for dinner. 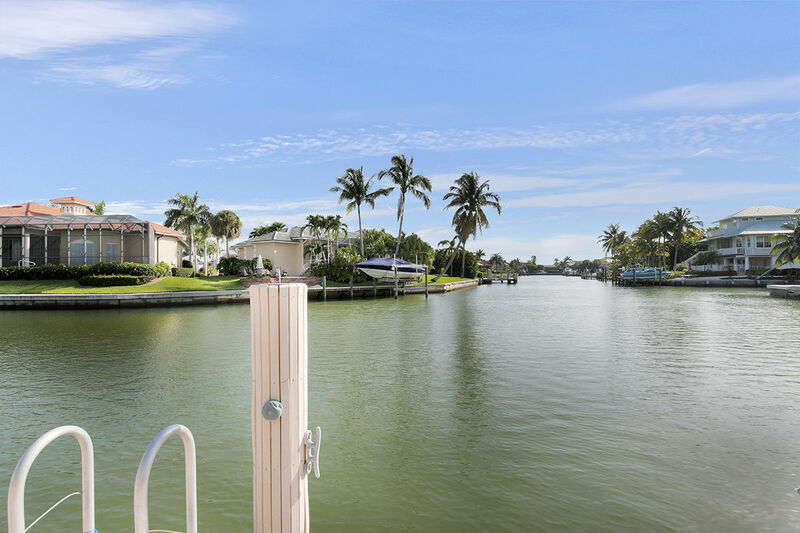 We look forward to returning to Marco Island. Great Pool, loved dining outside. Made great use of the outdoor grill and kitchen. Thank you for sharing your beautiful home! My husband and I and our 4 children had the best time going to the beach and swimming in the pool. We love Marco Island and hope to come back someday soon. We enjoyed our spring brake in Marco Island very much and we are sad to leave. We loved the pool and hot tub as we spent a lot of our free time in them. The inside of the house was also very nice. 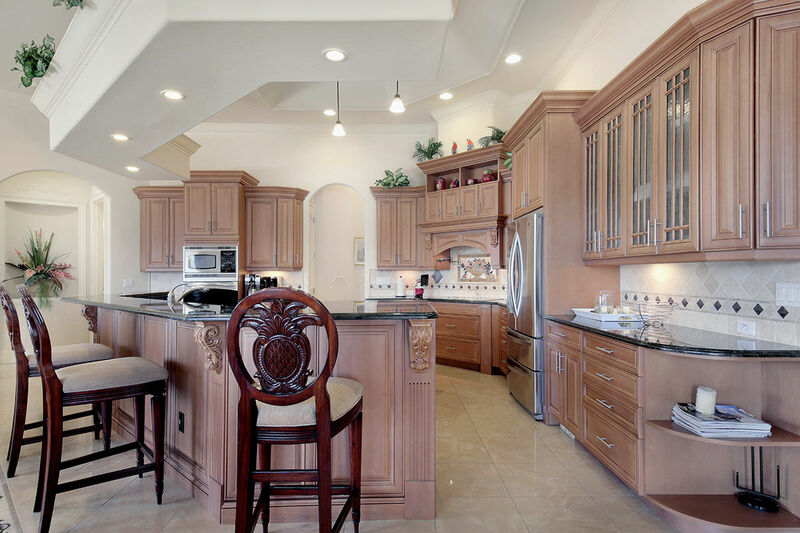 The kitchen was lovely to cook in and the bathrooms and bedrooms area ll so nice. We did a lot of fun activities that included parasailing, an airboat tour and jet skiing where we saw a lot of dolphins! We went to some great restaurants like CJ's, Marek's, Gino's and Joey's Pizza. Our family really enjoyed their time here and we thank you for sharing your home with us. we hope to be back very soon! Thanks again! We loved the house ,pool and weather. Thank you for sharing your home. Our family loved every minute! Thank you for allowing us to enjoy your beautiful home. We have always enjoyed Marco Island and now we love it more than ever. Plenty of room for your kids and lots of fun things to do. We enjoyed a dip in the pool everyday and also went out boating most of the time. CJ's on the bay, Snook Inn & Joeys Pizza were great for dining. We also caught a movie at Marco Movies what a great theater. Thank you again and we hope to return again next year. Amazing...words and pictures are not enough! This house was everything we imagined and more! The house was in immaculate condition and in a quiet neighborhood. The kitchen is well stock with necessities. The bedrooms were nice size and bathrooms were beautiful. The 4th bedroom had a murphy bed and a sofa, not ideal for adults but nice for children. Our group consisted of 3 couples, so the three main bedrooms were perfect. We all had our own space, in separate parts of the house and own bathrooms. We enjoyed the outdoor grill, eating area and of course the pool! I can't say enough good things about this property. There are always some negatives and what negatives we did find were very minor but worth mentioning. The rental company does give you a book when you pick up the keys on how stuff works in the house which was helpful. However it took us a day or two to figure out the TV, the thermostats and jacuzzi. A little more explanation would have been nice and it being Sat/Sun no one was in the office to call. The garage had a car and a waverunner in it, so it was not usable. Also we did not have an opener or code for the garage door so we had to use the main doors. Bath towels are provided but I felt there could've been more. We had to wash towels a couple times. With children I think this would be a bigger deal. There weren't any chairs on the balcony or the dock, though it might've been nice to have. We did move some up there, so again doable but just something we noticed. Last is the beach. It is within walking distance but that walk is 20-30 minutes long. I just wanted to clarify the "across from Tigertail Beach" statement. It is across from the entrance but you need to walk to the actual beach. To be fair, unless you are staying in a high rise condo or resort, you will walk or even drive a little ways to the beach. Like I said, these were just minor things we noticed and it would never keep us from staying here again. The management company was excellent. We had about a million questions before we arrived and they responded to all of them promptly. I would recommend the sunset cruise on the Marco Island Princess, renting wave runners and if you like a neighborhood/sports bar atmosphere, The Sand Bar is awesome. You can watch your teams there no matter where you're from! 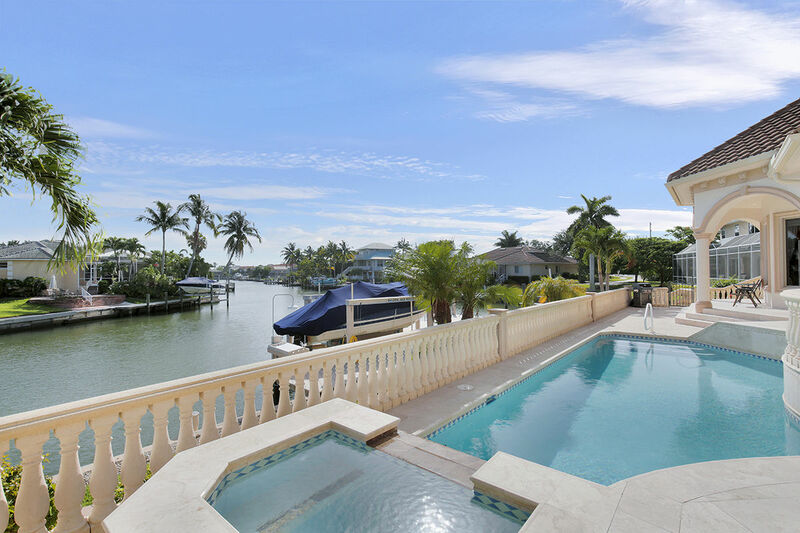 I would definitely return to Marco Island and this property. We are already talking about next year! 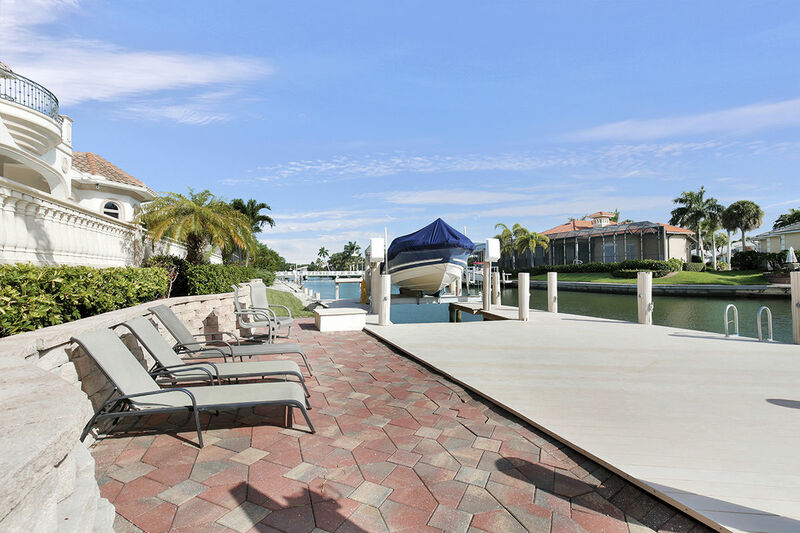 Accurate listing: Beautiful home with a nice location close to the entrance of Tigertail Beach. On the waterway which was a plus. The entire house was nicely done and cared for with new appliances. Tough to find much to complain about. Selfishly wished they had kayaks for use on the dock. Left wanting to buy the house myself. Very quiet neighborhood. Beautiful landscaping. Nice layout in the house. If you have small children the bedrooms are not together and spread out so may not be ideal. Would highly recommend this house and I have rented many via homeaway over the years. Management company good to deal with and house was pretty well maintained. House was awesome. Outdoor living area (Including pool and hot tub) was equally as spectacular as the inside of the house. Conveniently located across the street from the Beach entrance so whether you wanted to swim in the pool or go to the beach, there was no travel involved. Can't wait to come back. Absolutely gorgeous home. Provided our family with everything that we wanted and needed and then exceeded it. Would highly recommend it to anyone. We have stayed in this beautiful house for three years in a row. The water front view is amazing. 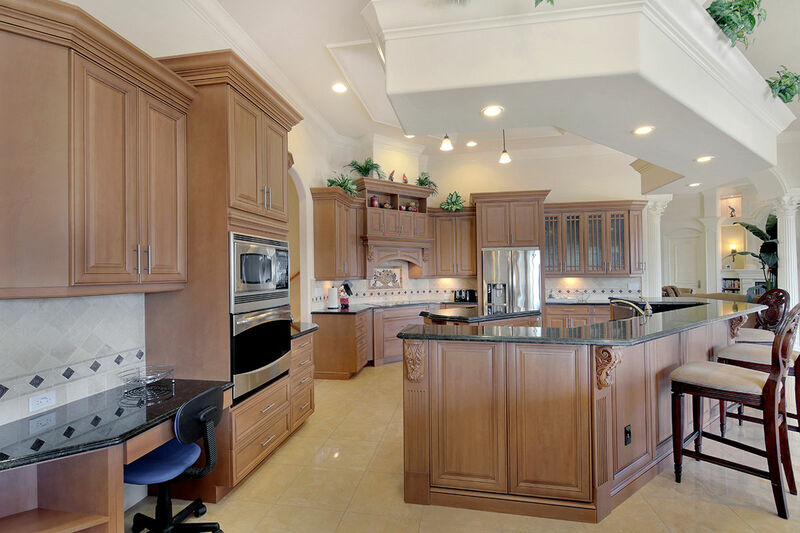 The kitchen is loaded with appliances, the pool and SPA is inviting and the beds are comfortable. We have access to everything, like grocery stores, nice restaurants and fan boat rides and jet ski tours. Walking distance to the stunning Tigertail beach, where our girls age 10 and 12 enjoy swimming and playing in the white sand. We love this place so much we're booking it again next Summer! The house is gorgeous and it has everything you need. I felt so at home and relaxed. The favorite part of my holiday was sitting at the porch reading, and watching the sun rise over the beautiful canal. The house is so close to the beach, and in a quiet and safe neighborhood. It is large, comfy, clean and well equipped. This is the perfect place for a family vacation and I would love to come back! Second year at this rental. Everyone had a great time in this spectacular house right across the street from the beach entrance. Looking forward to going back. Video Tour: Please click on the play button in the box below to get full Video Tour through the house.